DevOps Demo By Mr. Sridhar on 27th april at 10:00 AM. DevOps New Batches starts on 29th April @ 7am, 9:15 am. AWS Demo By Mr. Kalyan on 29th April to 4th may daily at 10:30 AM. AWS New Batches starts on 06th May @9:30 AM. Ethical Hacking Demo By Mr. Vishwanath on 27th April at 10AM. New Batches starts on 29th April. (Online Classes also available). Offerd Courses: DevOps, AWS, Ethical Hacking, Digital Marketing, and More..
DevOps, AWS, Ethical Hacking, Bug Bounty, Salesforce CRM, Digital Marketing, and More.. Ethical Hacking – DevOps – AWS – Bug Bounty – Digital Marketing Hands-on Training’s From Industry Expert. Real Time & Experienced Trainer | Hands-On Training | Per Batch 15 Students Only | 100% Real-time Training. Real-Time Training | 11+ Years Experienced Trainer | Hands-On Training | Per Batch 10 to 15 Students Only. 100% Job Guarantee | 12+ Years Experienced Trainer | Hands-On Training | Certification Also Available. We offer Corporate trainings on Ethical Hacking, Security Analyst, Forensic Investigator, Penetration Tester. and Dev-Ops & more. Tech Marshals is The Best Training Institute Hyderabad. Our goal is to deliver quality education with real-time projects, Our faculty are all real-time experts who have hands-on experience on their respective topics. offered course’s like Ethical Hacking, DevOps, Salesforce Crm, Digital Marketing and workshops in colleges. We are offering full course training and we are in the Top in market place. Our trainers are realtime working professionals and having 10+ years of experience in software industry. 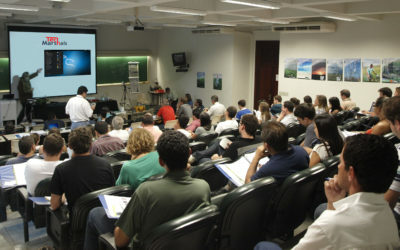 Project Base Live and Hands-on training in every course and every topic. We run batches from morning to evening, weekdays and weekends. Select batch as per comfortable time. Our expertise helps you in getting job. Ethical Hacker, True Cyber Solutions. 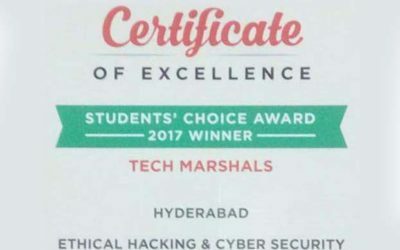 Tech Marshals is one of the Best Training Institute Hyderabad for Ethical Hacking. I have taken the Ethical Hacking Course .It was excellent experience . I Asked my trainer so many questions during my classes. My Trainer helped me a lot. Chosen this institute to learn DevOps training. Sridhar sir is my trainer he has 10 + years experiance and Very Professional, I am getting good coaching from here. I am thankful to their Training. Thanks to Tech Marshals, I recommend this Institute.